Our friend and fellow apple collector, Lee Calhoun, obtained this apple from Herbert Childress of Kentucky who himself is a collector of heirloom apples. 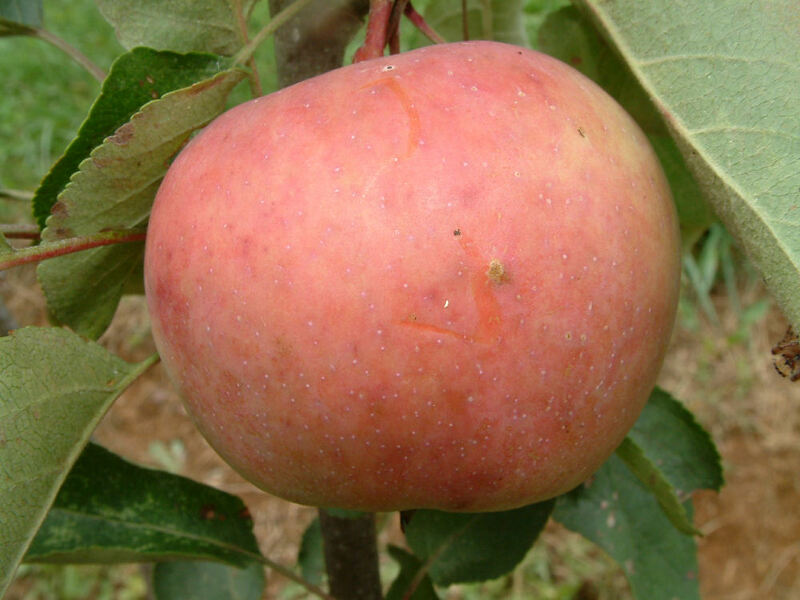 The apple originated in Russell County, Kentucky, on the farm of J. B. Garner. For many years this apple was a county fair prize winner for “Best Apple”. Fruit is medium, slightly conical and somewhat flattened on the ends. The smooth skin is yellowish with a dull brick-red blush on the sunny side, sometimes entirely red, and covered with a fine whitish bloom. The greenish-white flesh is crisp, fine-grained and juicy. Ripens in August.